Real Estate Sales on Anna Maria Island for 2018 were a little under 2017. December 31, 2018 Y-T-D AMI sales were 397(SF-234, Con-131, Dup-223, & Lot-9) down 1% from December 31, 2017 Y-T-D at 403 (SF-225, Con-135, Dup-25 & Lot-18). Sales in December 2018 for Anna Maria City, Holmes Beach and Bradenton Beach were 18 (SF-12, Con-6, Dup-0 & Lot-0) down 30% below December 2017 at 26 (SF-16, Con-7, Dup-2 & Lot-1). Of the 2018 sales only .7% or 3 (SF-1, Con-1, Dup-1 & Lot-0) were distressed properties (bank owned or short sales) compared to 1.5% or 6 (SF-4, Con-1, Dup-1 & Lot-0) for 2017. As you can see by the charts below the numbers since 2010, which was where the market bottomed from the peak of 2005, the annual sales continue to be strong in either the high 300’s or low 400’s. The inventory continues to be very low and remains below 300 this month again for the eighth month in a row and for seventeen of the last twenty months. The average inventory over most of the past 30 years has been 400-450 properties for sale at any one time. Inventory is currently at 291 (SF-179, Con-73, Dup-23 & Lot-16). Inventory for the previous thirteen months were 257, 249, 231, 214, 223, 240, 254, 267, 297, 297, 310, 290, 298 as you can see all below 300 every month but one. Low inventory with strong demand means it’s more of a sellers’ market. There is something for everybody on Frank, Scott & Al’s Great Buy’s list this month. If you’re looking for a starter property in a Gulf Front complex, then 5608 Gulf Drive #102 is for you. The unit has new tile flooring and bright light décor and overlooks the tennis court and pool. If you’re looking for a unique condo that is also a very good rental, then 6700 Gulf Dr. #7 is the one for you. This 1,600 sq. 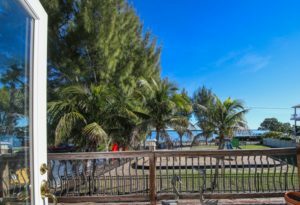 ft. 3bedroom/2bath direct gulf front condo is the ultimate in beach living with panoramic views of the gulf. Walk right off your lanai onto the sand. Although it hasn’t been rented by its current owner, Vacasa projected it would do $90K-$100K in gross annual rental. See these and more properties below. Call me for more information on these or other real estate opportunities. We can put you on your own automatic search for properties with your specific criteria. To summarize the Anna Maria Island real estate market for 2018, we ended up down 1% compared to 2017 which was one of the strongest sales years since 2010 as you can see from the charts below. Pended properties (properties under contract) are at 30 (SF-19, Con-9, Dup-2 & Lot-0) which is about average. Distressed properties continue to be non-existent with again this month no distressed properties for sale on the island and non in the last six months. The distribution of the single family properties currently for sale on AMI has dramatically skewed upward with only (5) 3% <$500K, (34) 19% 500K-750K, (44) 24% between $750K and $1 million and (97) 54% over $1 million. The distribution for Condos currently for sale has bumped up a little from last year and was (39) 51% <$500K, (21) 28% $500K-$750K, (7) 9% $750K – $1 million and (9) 12% >$1 million. You can see that 78% of the single family prices are over $750K while 51% of the condos were below $500K. The lower prices on condos is due to the fact that most of the condos on the island were built in the 70’s and 80’s and are 2 bedroom/2 bath. Of the current inventory of 179 single family homes the lowest priced is $395,000 and the highest is $5,750,000. Of the current inventory of 73 condos the lowest priced is $219,900 and the highest $2,600,000. Of the single-family properties sold in 2018, the average sale was $1,047,533 and the median sale $835,000 and for condos the average sale was $454,941 and median sale $377,500. In 2017 the average sale for single family homes was $1,060,886 and the median sale was $810,000 while the average condo sale was $434,963 and median sale was $352,000. Over the last year on Anna Maria Island average and median single-family sales were up -2% and 3% respectively while average and median condo prices were up 10% & 7% respectively. Longboat Key current inventory is 455 (SF- 137, Con- 278, Dup- 4 & Lot- 36) up significantly from 386 last month and from the six previous months at 314, 276, 277, 307, 320 and 377. Of the current inventory of 137 single family homes the average sales price is $1,960,032 and the median sale price is $1,200,000. The lowest priced single family home on Longboat Key is $299,000 and the highest is $22,500,000. For the 278 condos for sale the average and median prices respectively are $773,889 & $544,500 with the lowest $169,900 and highest $6,100,000. THE GALLETTO TEAM of Island Real Estate, 6101 Marina Drive, Holmes Beach FL 34217.